[To see my Paintings for Sale - click here]. Posted on June 6, 2009, 12:55 pm, by E gan F, under Art. 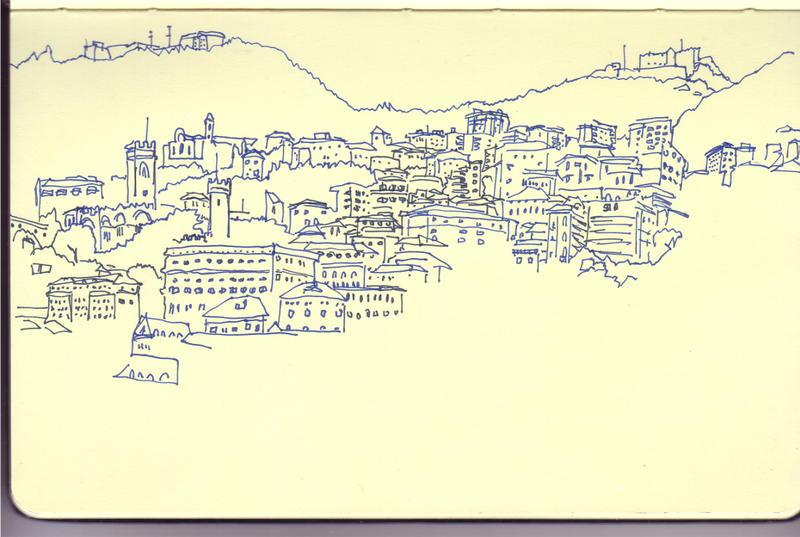 Here’s a drawing I did of Genoa while in Italy last summer. 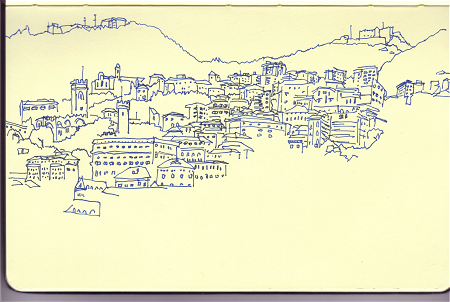 It’s from my moleskine sketchbook. I hate to be the one to burst the bubble, but…well, it’s not very good. You obviously didn’t go for realism, and it’s no where near styled enough to be interesting. It looks like the kind of drawing a ten year old would do. What bubble Dave? It’s just a sketch in a notebook. Dave, you massive douche…..chill the f out….